FOOD MATCH: Fine with a hearty meat-and-tomato sauce over spaghetti, and worked as well after dinner with bites of buttery, creamy cheeses. WHEN TO DRINK: No rush, but it’s not really intended as a long-term ager and won’t gain value with time. I’d drink it up over the next two years or so. My local price matches the $10 U.S. retail reported by Wine-Searcher.com, and it’s an excellent value for that price. Here’s a Stump Jump fact sheet on the d’Arenberg website. You’ll find similar information on this Stump Jump promotion sheet on the importer’s website. 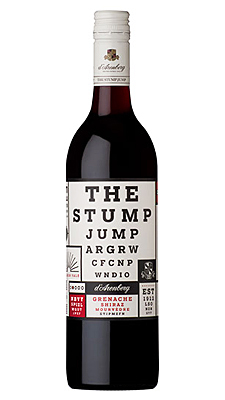 Find vendors and check prices for d’Arenberg McLaren Vale “The Stump Jump” on Wine-Searcher.com.